Typhoon Q500 4K system is modular,the camera can be mounted on both the Q500 and steadygrip. The steadygrip CG03 3 axis precision gimbal with 4K camera high definition camera,allow you to capture amazing and stable video footage. 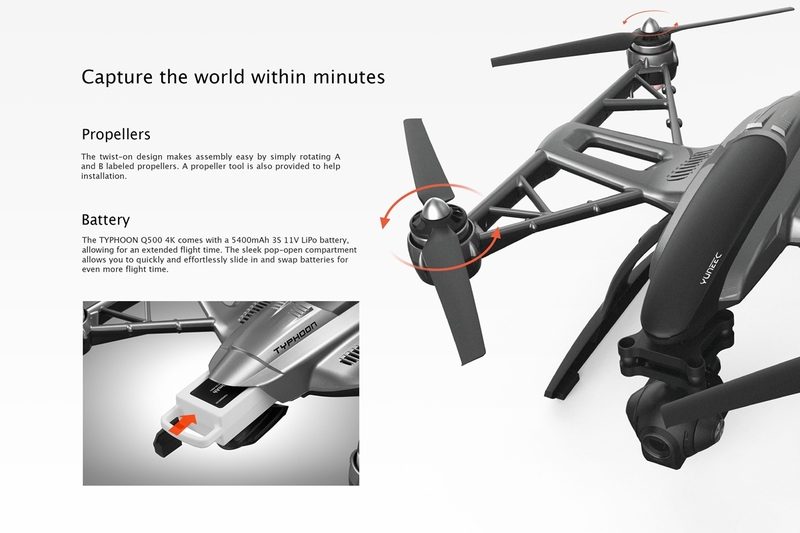 The CG03 is an innovative combination of a 3 axis gimbal,camera and digital video downlink.